What about Classic-mode? 100% health, Squadleader Spawn Only, 3D spot off, no autoheal, no kill-cam! 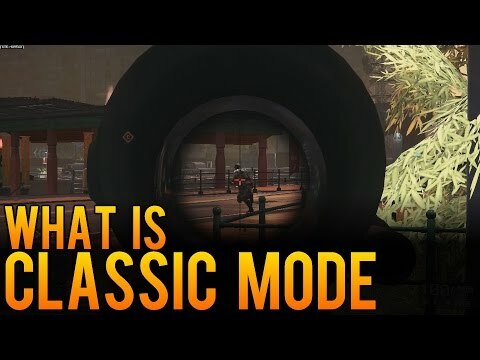 Since HC got confirmed now, any chance for Classic mode to pop up? It got released too late in BF4 to get enough interest (there are only 4-5 active Classic servers in BF4), but it is an amazing mode. Everything else is the same as in normal. I know main complains about HC is the 60% health. With Classic you get the best of two worlds. Classic mode is still populated. I can't believe dice don't mentioned it. Classic is the ultimate Battlefield mode for teamplay and fun! Bring the pillars of teamplay in Battlefield DICE! Squad leader spawn seemed restrictive at first but then I realized it made people join squads and almost force players to move with their squad. Autorepair is off already, sadly autoheal is quite alive and fast, so the Classic mode would be a lifesaver there too. 60% health and the balance of weapons was my major gripe with HC in the past, same as not knowing even the amount of magazines you had (I wouldn't need to know the exact number of bullets in each mag) and the minimap... well there's always the big map, even if it now is more like the "big" map in BF3 than the full screen one of BF4. In BF4 and previous BFs you could set a auto-kick for TKs. Default is 5, but you could put it down to 3 or up to 10, if I remember correct. 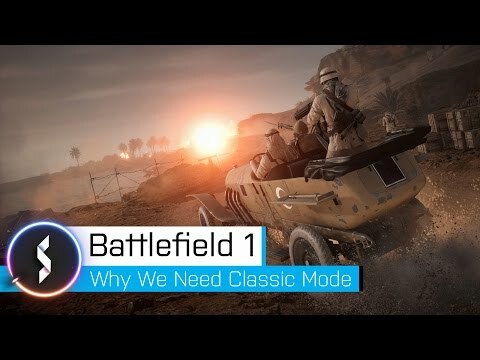 To people who don't know what Classic is: Here is a video explaining it in BF4. In BF4 3P vehicle cam is off, but in BF2/BF2142 3P vehicle cam was default on. In BF1 3P vehicle cam is necessary due to horses. Since BF2 is TK for vehicles or other stuff a important point for admins - so we have decided to FF OFF - thats the best way for players and admins. I can't imagine classic mode is more than adjusting some variables. Correct me if im wrong. I'm still in the hope that Classic mode will come sooner or later. Thats correct all variables available (Serverbrowser Filter) - autohealth, 3D spotting - only one we missed " Only Squadleaderspawn". Thats important to force the teamplay. Autorepair its not neccessary for BF1. It would be nice we have a Classic Setting to set the server browser filter. So all players have to set all filter variables by hand. With Classic you get the best of two worlds. Then it is the perfect time for them to get to know it. Classic is the only way, and you know it. Sadly this is because they released Classic-mode 1 year after it was released. It was a little too late.